Last week for Halloween, Coble teachers were challenged to create masks representing their college mascot. Our teachers proudly wore those masks on Halloween. Students voted for the best, most creative mask. 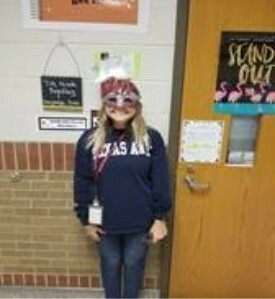 Mrs. Lawless and her Texas A & M mask received the most student votes. Thank you to all the teachers who participated.